Personalized parking stickers are a common customer requirement. Vehicles are increasing in every household. Hence, many housing societies need to regulate the entry and parking of vehicles of their members. What is needed is an instantly identifiable design. The security guard at the entrance refers to this parking permit before granting access, or restricting the same, to the vehicle. 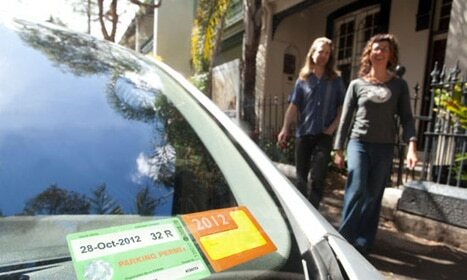 At Orchid Digitals we can print a personalized parking stickers to suit your requirements. Ready to buy Parking Stickers? We’ll mail you some draft designs and costings. Please give us an idea of your requirements, by filling in the form below. We’ll create some draft designs bearing your own society’s name. We’ll also mail you a formal proposal containing media options and costings. The proposal will explain the difference between regular and night reflective parking permits. It will also give an idea of the cost you’ll be expected to pay, for the same. As stated above, we use our variable data program to personalize each sticker. So, in addition to the logo / society name, the stickers can then include sequential numbers, flat numbers or even individual vehicle numbers. Thus the managing committee can maintain a register which keeps track of the permits allotted to individual members. 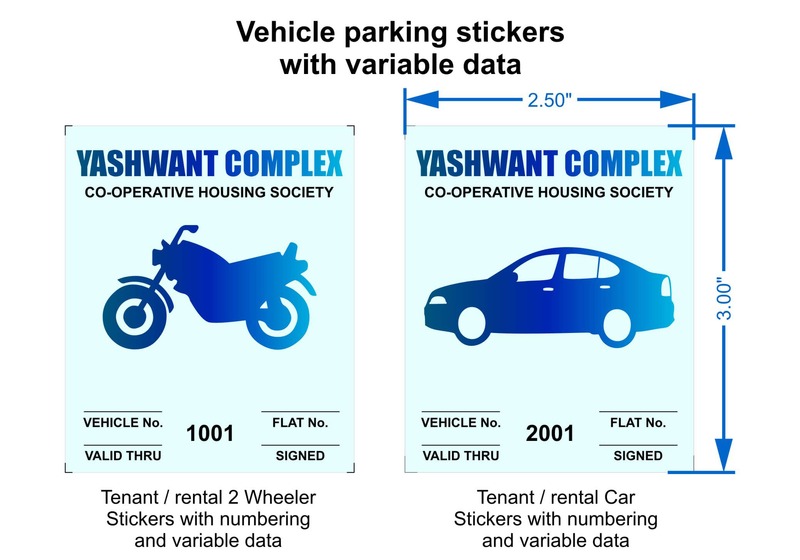 Another common requirement of housing societies is the need to differentiate between parking tags allotted to permanent residents and tenants. While the former have permanent stickers, the latter are generally allotted stickers with an expiry date. Shown above are some sample layouts which incorporate logos, variable data and expiry date. Parking permits need to be pasted from the top on two wheelers. 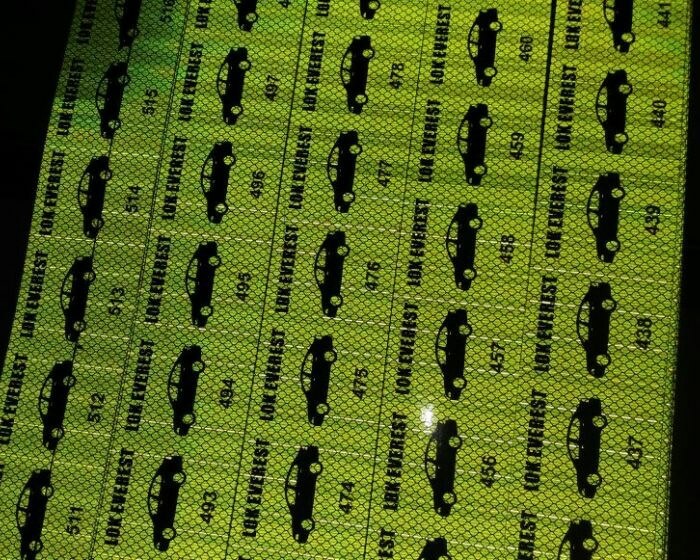 Alternatively, when used in cars, they need to be reverse pasted from within a car’s windshield. Both front pasting and reverse pasting vehicle sticker options are available at Orchid. In both these cases, the print is water proof and all weather proof. As an added security feature we can even print your vehicle stickers on a reflective vinyl. 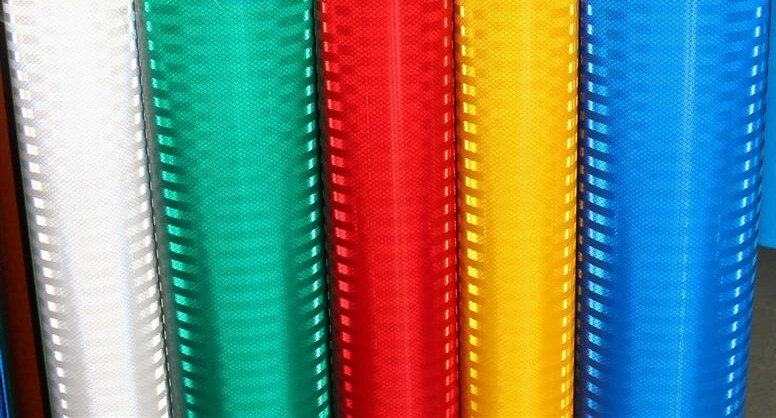 We use 3M HIP (high intensity prismatic) film, for this purpose. This film has the unique property of shining with an extremely high intensity in the dark, even when a little light falls on it. The benefit of 3M HIP film is that the gate guards can identify the vehicle from a distance. They can then raise the boom barrier well in advance of the vehicles approach, to grant access. This is the same film used in high way signboards. Here is a comparison of how the high intensity reflective film looks during the day and at night. Please check your mail Sir. Have sent across a draft design. What is the price for reflective & glow at night stickers? We need to print 50 car & 100 bike stickers for our CHS (Mumbai). Please email us a detailed quote along with shipping charges, if any, at the earliest. Thanks. Hello, We need 400 bike and 600 car stickers urgently. Name of the society: Swarganga, Vallabhnagar, Pimpri, Pune – 411018. We need 200 bike & 75 car sticker in square format. Sahil Vighnesh Residency, Wakad. please send Design & cost for available types. Need 150 Bike and 20 CAR stickers. Thane–Badlapur. Should not be easily removable in rain in TW and should not damage windscreen in FW. please check your mail sir… i have send you draft design and cost options.. Please check your mail. We have sent you some design and cost options. Hi Team, We require Stickers for our Society Kindly provide sample to the name of Anurag Nagar Colony & Sanjay Nagar Colony. total requirement of 1000 Nos. Approx. we need 500 sticker (bike 250 and car 250)? what is price? What is the price for reflective & glow at night stickers? 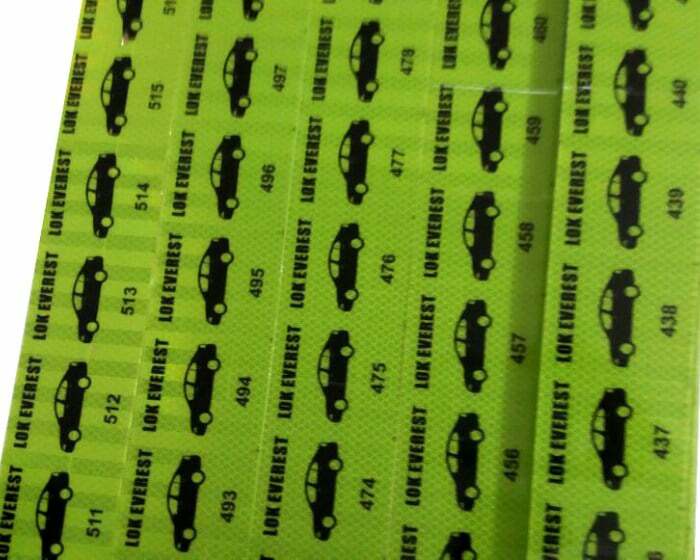 We need to print 50 car & 100 bike stickers for our company . Please email us a detailed quote along with shipping charges, if any, at the earliest. Thanks. parking sticker for apartment around 100 bike and 50 car how much price per piece.. please give your contact number i will reach you.. I am looking for two and four wheeler parking stickers for my society. I am in Bangalore. Request you to kindly send me a small draft for the same. Society Name – BLISS F Co-Operative Housing Society Limited, Global Arena, Naigaon East. Need Reflective 3M – HIP ( high intensity prismatic ) parking stickers for 2 Wheelers and 4 Wheelers … Our Apartment name is Shree Radhe Exotica. Without Valid from & Flat no but with Tower A, Tower B, Tower B1, Tower C, Valid From, Sequential No, Signed We need in Oval Shape or Round Shape. Can we incorporate our society logo also in background along with 2 wheeler and 4 wheeler picture in that. Let us know the charges for the same. 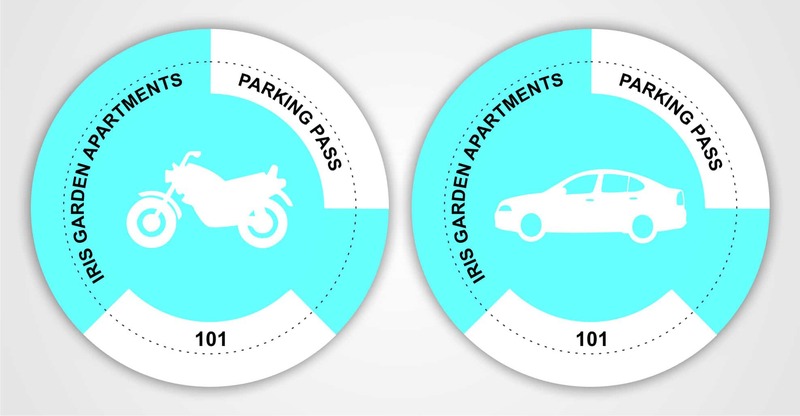 We need 2 kinds of parking stickers for our society – 1 for Owners and 1 for tenants. Both need to be in different color, same design, serial numbered starting 101 for Owners and 1001 for tenants. We need 1000 stickers for owners and 500 for tenants. To be stuck from inside car on windshield. Need the design, best costing and delivery date (to Greater Noida, U.P.) urgently. We need 100 Car and 100 Bike Stickers for our Community, initially. We will need the same more, in future. Please let us know what do you require, in order to help with Design and quote. Hi, need standard oval parking stickers for our society Habitat CHS. 100 bike and 30 cars. Please share details and cost. We would like to print parking permit stickers for our apartment in Chennai. We would initially print 75 stickers for four wheelers and 100 for two wheelers. We would prefer the night vision stickers, but would appreciate if you can share the same with few more options. Request you to find the below illustrated details for your perusal and revert at your earliest. Thanks. We need 140 bike and 140 car parking stickers. Could you please send me the cost details and some sample design? Also are you able to deliver the sticker in Bangalore ? Hi, I need a quote for 200 Car stickers and 200 Bike stickers for my society (Hi- Res Vinyl print). Samples will be appreciated. Hi Good Day! 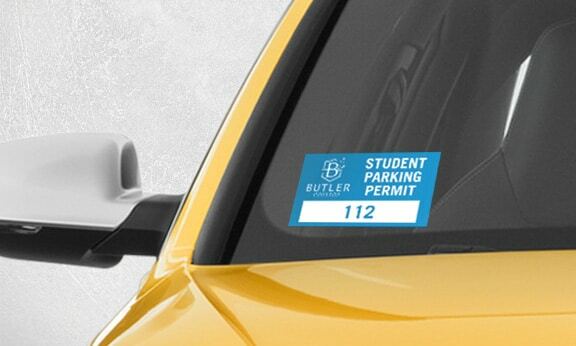 I need at least 200 pcs of car parking sticker.how much is the cost? can you give me a sample design? wanted to get sticker for 200 car and 200 bike sticker. Alpine fiesta, Bangalore is apartment name. Need 100 car and 100 bike parking stickers. Can you please send me the quotation for the same. Parking Stickers: Bike 250 – 10/- and car 250 – 15/- sir. Please share your society name. I’ll mail across some draft designs. Hi , I need at least 120 pcs of 2wheeler & 60 4wheeler parking sticker. sticker should have apartment name & flat num . each flat will be provided 3 stickers (1 4wheel & 2 2wheel) . how much is the cost? can you give me a sample design? Thank you Mitesh , I replied to your email with all our requirements, Please check your email & revert back asap . We need 50 bike and 50 car parking stickers. We have the design already with us. Please let me know the details on pricing and how to proceed. I have also sent an inquiry via your website contact us. Thanks in advance. Hi. Looking for 200 bike and 50 car parking permits. Apartment name: Swapna Nirman. Can you send me a draft and also a quote on it please. Also are these waterproof? We need 50 bike and 15 car parking stickers. We need circular stickers with society logo at center. please let us know of the pricing and how to order? I m sunil…i need 100 bike sticker and 50 car sticker for my society ‘VEDIC HEIGHT’.Could you provide estimated cost? Please check your mail Sir. I have sent you a draft design. I need 50 Bike stickers and 50 four wheeler stickers for my Society ” VEDIC HEIGHTS”. Could you please provide quotation? 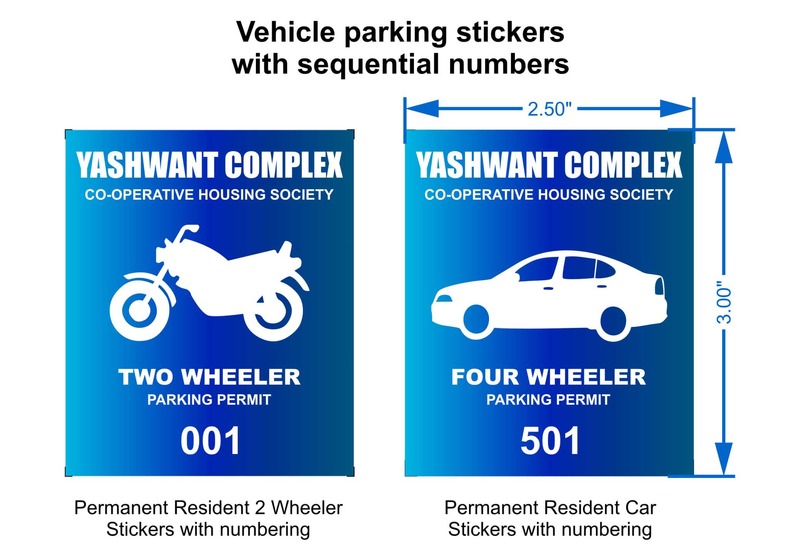 We need 150 (75 owner + 75 tenant) four wheeler parking stickers of 5x5cms for our apartment in Coimbatore. Please share some sample design and your quote (including everything like tax, courier etc) for both reflective and non-reflective stickers. Please check your mail Sir. I have sent across a draft proposal. We need 50 Bikes and 25 Cars Stickers. Our society name is Swastishree Cooperative Housing Society, New Sangvi, Pune. Please send us the quotation at your earliest on khairnar.chetan@gmail.com. I need 200 car and 300 two wheeler stickers in name of ‘SV 96 FLAT’. Also pls confirm whether the stickers will stay intact when vehicles are send for washing?. Apologies for the delay in my response Sir. Please check you mail. I have sent you a draft proposal. Please check your mail sir. Have sent across a few design and cost options to you. We would like to print parking permit stickers for our apartment in Mumbai. We would initially print 50 stickers for four wheelers and 200 for two wheelers. We would prefer the night vision stickers, but would appreciate if you can share the same with few more options. Request you to find the below illustrated details for your perusal and revert at your earliest. Thanks. Please check you mail sir. Have sent across a draft design. hi want ti print vehicle entry pass sticker for complex. We would like to get 500 car parking and 500 two wheeler stickers. Can you show me how the reflective and non-reflective stickers look like ? Also, what will be your expected delivery time after ordering ? Please give me a quotation for printing single color and two color stickers with serial numbers. Please check your mail sir. I have sent across a draft design and some cost options. Hi, we are looking for stickers for 4 wheelers and 2 wheelers, 700 4 wheelers and 1400 two wheelers. The options we need is to have sequential numbering. Hi, we are looking for 800 nos. 4 wheeler and 1500 nos. 2 wheeler parking stickers. I need quotation and hard copy sample for order. Can you please share your exact courier address and I will send across a few samples sir. Hi, Looking for 100 nos. 4 wheeler and 100 nos. 2 wheeler parking stickers. Please provide qoute. Have mailed a draft design to you sir. Can you please check. Dear Mr Mitesh, Our office had contacted you today i.e 15.10.2018 for printing of car and two wheeler parking stickers. However, it is informed that you cannot make any artwork or design for parking stickers and only printing will be done by you. Since, its a job work and the customers cannot run here and there to the dtp designers, I would suggest, I you could design a car sticker and print it would be very good for the customers/offices like us. Hi, I am looking for 500 nos. 4 wheller and 500 nos. 2 wheeler parking sticker. please send quotes for the same. and i will require customised design. Hello Miss, Please check your email. Have sent across a draft design with costings on the same. Want to print 100 car n 200 bike parkibg sticker urgently. Please check your mail sir. I have sent across a few draft designs and costings to you. Do check your mail. I have mailed across the requisite information. I would like to print a common parking sticker for two wheelers & four wheelers for my society. I would require somewhere around 100 units to print. I will share details once you send me test mail. What is the price for reflective & glow at night stickers and also the regular one without reflection? We need to print 100 car & 100 bike stickers for our apartment Mahadev Towers, Hyderabad. Please email us a detailed quote along with shipping charges, if any, at the earliest. Please check your mail Sir. I have sent across the requisite information. I am Santanu from The Village Co-operative Housing Society, Lohegaon, Pune. We need 300 (150 owner + 150 tenant) four Wheeler and 400 (200 owner + 200 tenant) two wheeler parking stickers. Please share some sample design and your quote for both reflective and non-reflective stickers. Do check your mail Sir. I have done the needful.